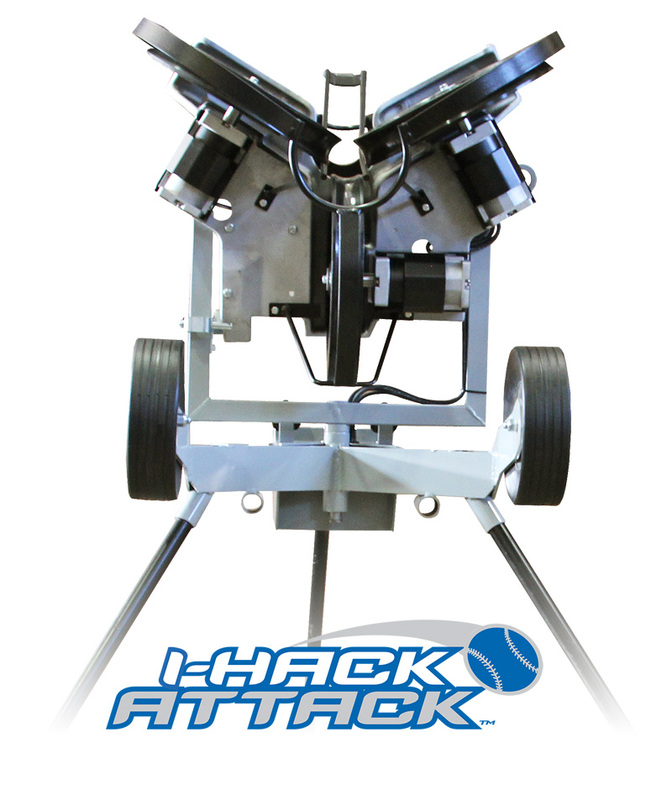 Using touch screen, quickly go between eight different pre-set pitches as well as pre-set defensive drills. 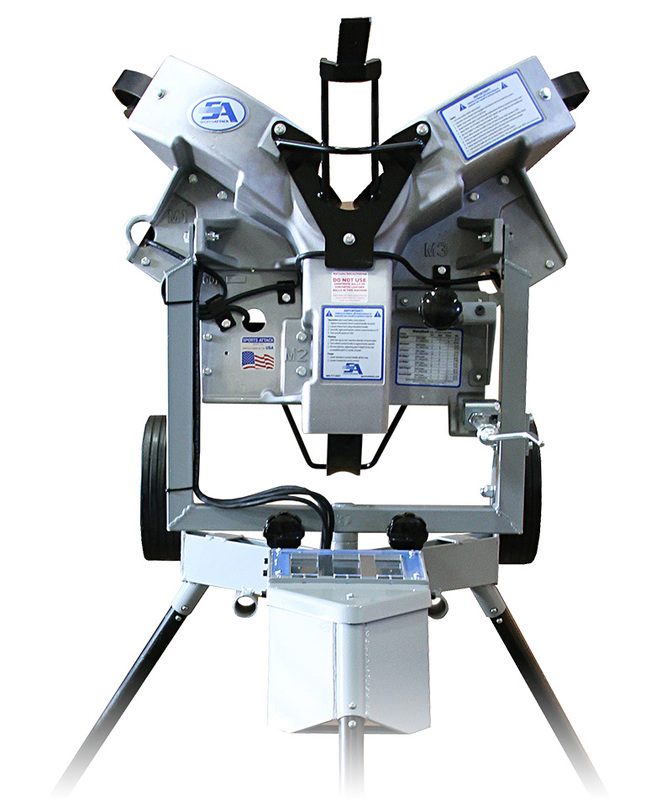 Fully adjustable throwing head pitch locators will quickly position pitch (high, low, and inside, outside) in up to four locations within the strike zone to allow you to instantly change locations between pitches. You can work one quadrant of the strike zone and quickly move to a different quadrant for the next pitch. 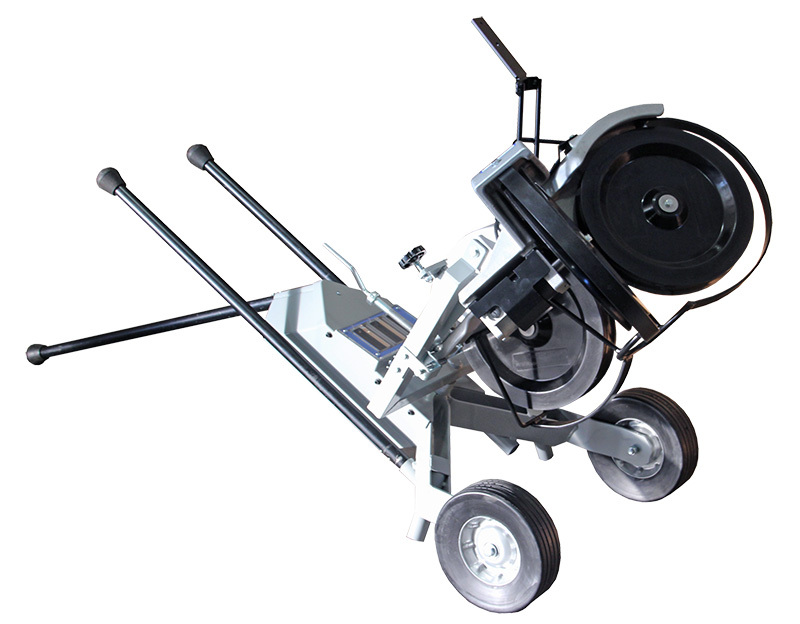 Pitch locators will also lock position to provide precise repeatability. For initial set-up, center pitch in the middle of the plate and the horizontal pitch locators in a centered position, then throw a pitch to get elevation. You are now set to position your pitch locators to establish repeatability or to set-up a change of location with each pitch. acceleration and release, just like a live pitcher. With this design, the hitter sees when to stride and the angle of release, giving him an actual live-arm sense of timing and location.